We all spend more and more time in our email to run our business. 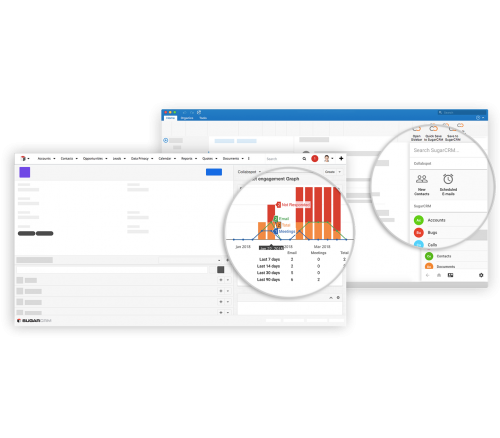 Collabspot is the only Chrome Extension that provides Outlook users with one-click access to customer, partner, supplier and employee data from related business applications. Collabspot makes it easy to access your contacts, accounts, opportunities, cases, and even tasks from right inside Outlook so you can stop switching back and forth between Sugar and Outlook and start closing more deals. Archive emails to Sugar, edit any Sugar record from inside Outlook and automatically sync your calendar and contacts so your data in Sugar will always be up to date.